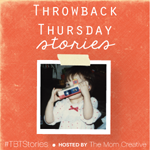 My friend Jessica Turner is creating a new blogging series about Throwback Thursday. We all post fun pictures on Thursday, but we rarely get to DIG DEEP and tell the story behind the shot. Picture it. 1987(ish). Astoria, Queens. 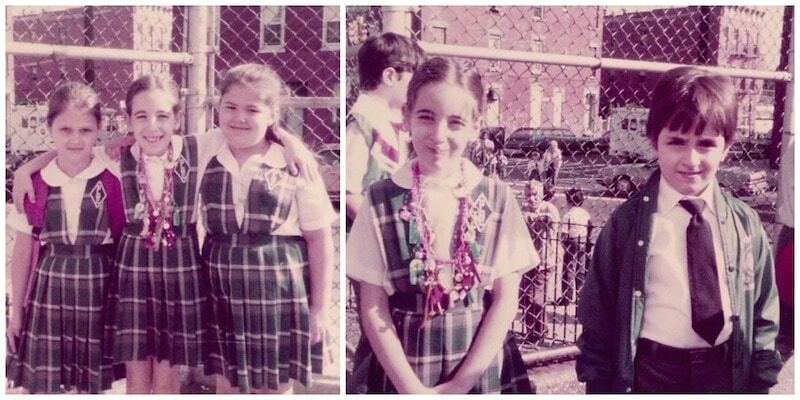 I was a Catholic School girl until the 12th grade. So, I knew nothing but the uniform. Same outfit every single day of the week. And you know this little fashionista couldn’t handle it. We weren’t allowed to wear excessive jewelry or accessories. If I recall, I don’t even think we were allowed to wear PINS. On the last day of school, I decided that I was going to go ALL OUT and wear my charm necklace. You know – the embarrassingly LARGE and out of control charm necklace. It was a half day and I figured that everyone would be lax and in a good mood. The big daredevil that I was. The risk taker. The Catholic Schoolgirl who loved jewelry so much that she was willing to go up against the nuns. And she won. Because no one said anything. Woot! Woot! Best last day of school ever!! I TOTALLY remember those necklaces!! I so wish I hung on to mine, those charms were all sorts of awesome- and random. Adorable picture (and my family lived for a while in Flushing. Shout out to QUEENS!!). Hope you had a great weekend and thanks so much for the Twitter follow!